In the 52nd session of Chandoo.org podcast, let’s discuss monkeys, Ok, I am kidding. 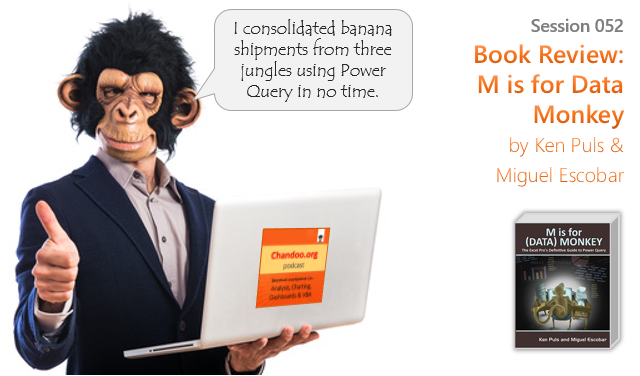 We are going to talk about M is for Data Monkey book. Updates: Why so much gap between episodes? Why you should get this book? First up, let me congratulate my good friend Danielle for the successful launch of her first book. Today, I want to share my review of this book with you. 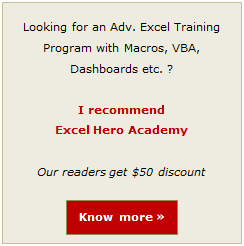 Quick Summary: Recently I have had the opportunity to test Daniel Ferry’s Excel Hero Academy online training program. 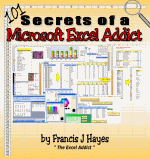 In this post I am going tell why it is a good program to learn Excel. Plus you can get it for $50 OFF if you use the discount code chandoo. 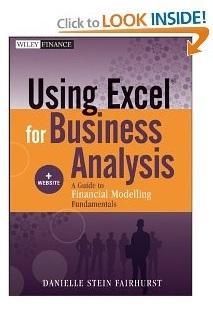 PS: Today is the last day for joining excel school. So bear the promotional messages. Skip this post if you are already sold or not going to buy. I gave free excel school passes to few of the people I respect and learn from. 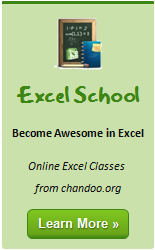 You see, I have worked mostly alone on Excel School and while the first batch students were very happy with what they got in the school, I wanted to be doubly sure that Excel School is an excellent value for money and nothing short of an awesome program. So I gave free passes to people I truly admire, to know what they would think. 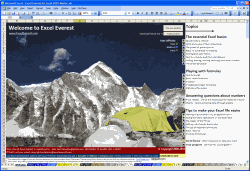 Read this short post to find out what they think about Excel School. If you want to make better charts and create lasting impressions, chances are you have heard about Jorge Camoes. He writes at excelcharts.com (previously charts.jorgecamoes.com). I have been reading Jorge’s blog for over 2 years now and have linked to his excellent articles on PHD several times. 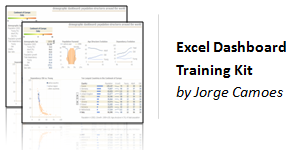 Jorge also has an Excel Dashboard Training Kit, which teaches us how to make a dynamic and comprehensive excel dashboard. 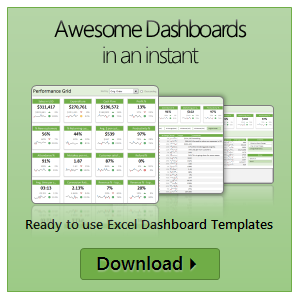 The dashboard training kit is a culmination most of his lessons implemented in a practical way using Excel. In this article, I review the product and tell you why you should get a copy of it. We have a macbook at home. Like all latest macbooks, this one too came with a trail version of iWork. Even though I have used iWork before, this time I wanted to compare iWork numbers with Excel. In this post, I want to highlight 7 really cool features for iWork and how Microsoft excel can benefit from implementing the same.